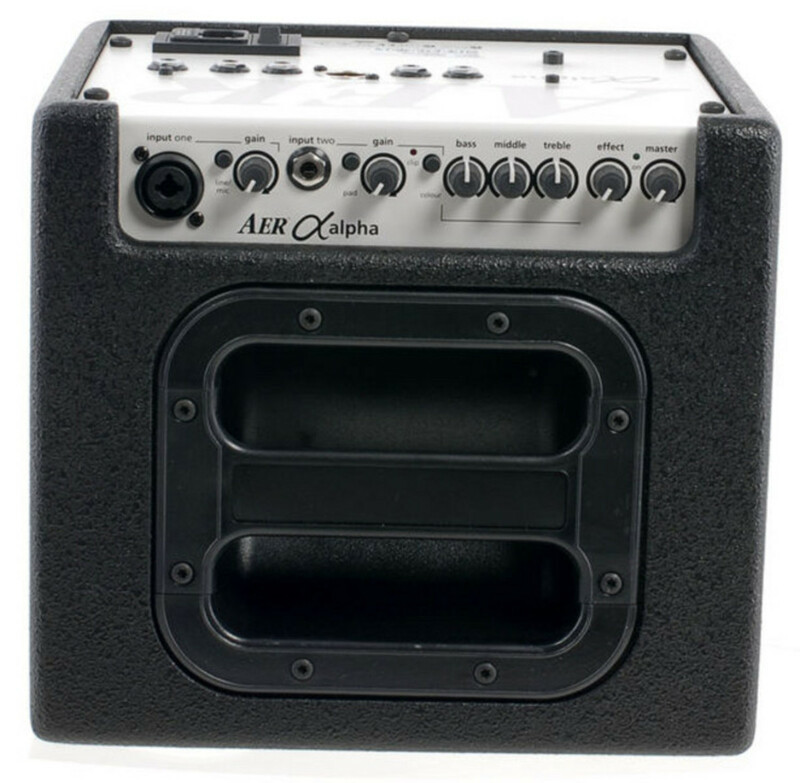 The Alpha Acoustic Amp is a professional, compact and powerful piece of kit combining lunchbox like portability with performance that rivals that of much larger amps. It's twin-cone 8" speaker and 40 watts of power deliver impressive warmth, transparency and power. 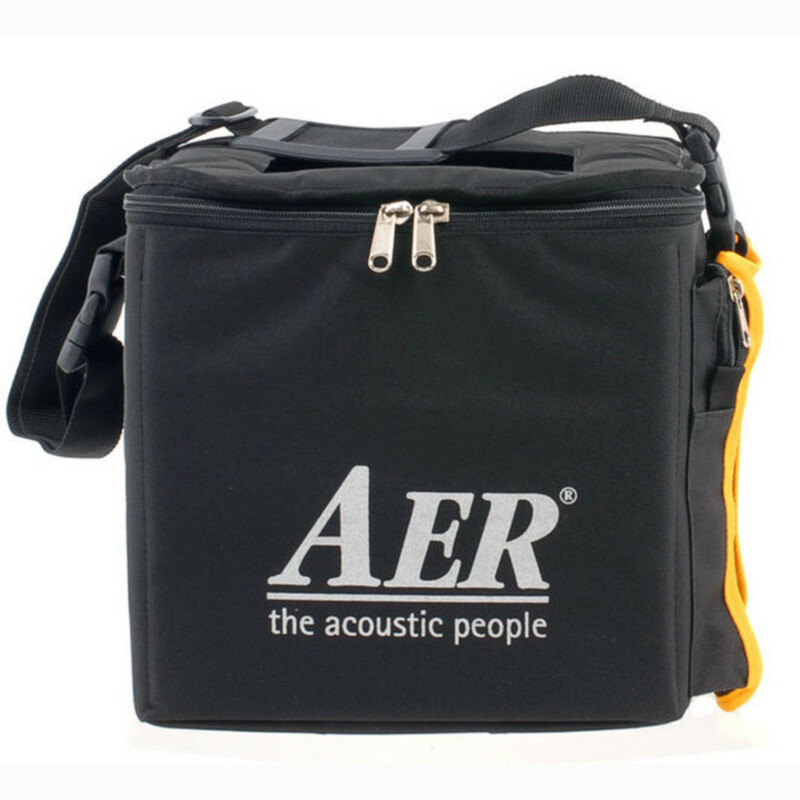 Although designed for the enhancement of acoustic instruments, it is also suitable for use with electrical instruments. 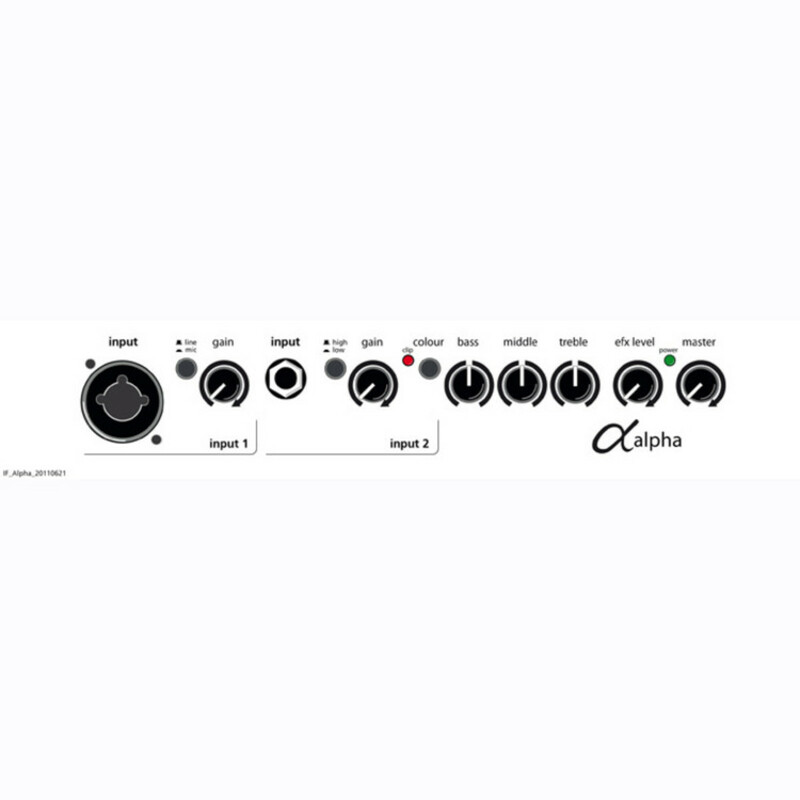 The Alpha has one channel but two independent input stages (line and mic/line) which offers you various options in signal processing. 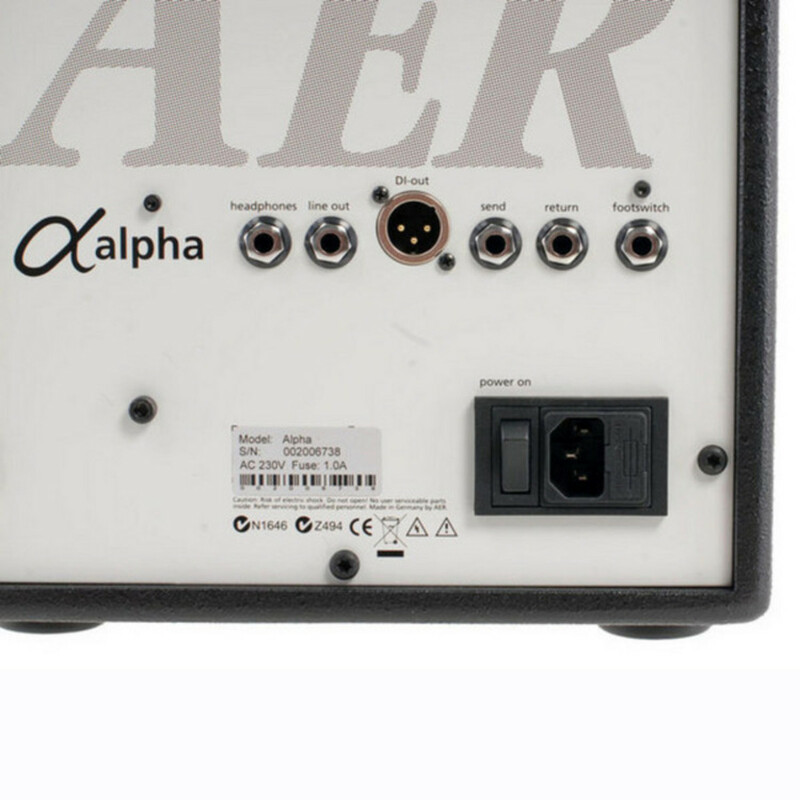 The Alpha's 40 Watts and 8" twin cone speaker system provides a well balanced tone at all sound pressure levels. This AER amp is also subtly dynamically controlled ensuring absolute reliability in full load operation despite its strikingly small size and weight. 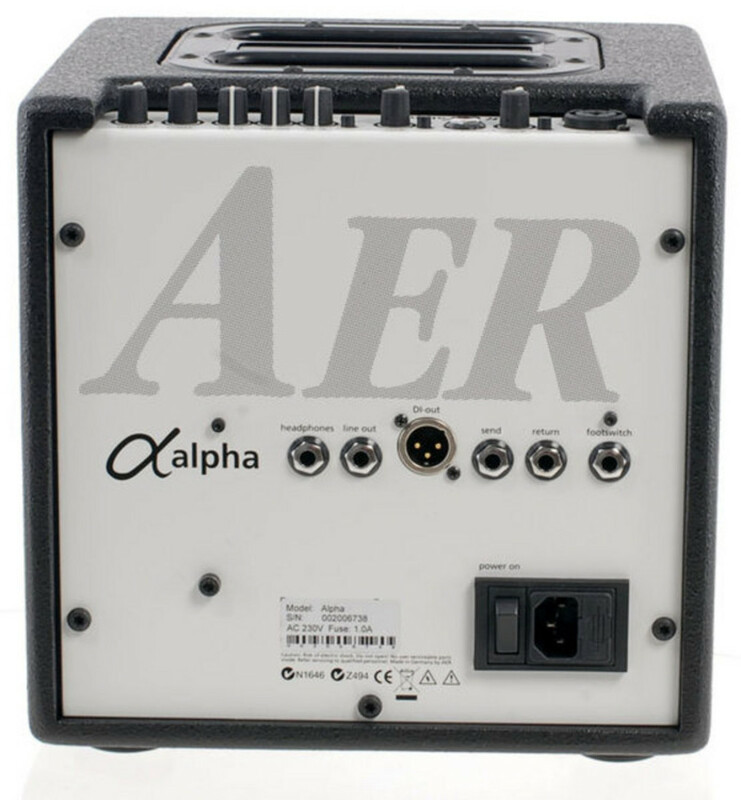 The triple-band equalizer of the Alpha provides an active and high quality sound interaction tool that supports the natural tone of instruments and voice whilst simultaneously offering the possibility of a controlled accentuation. 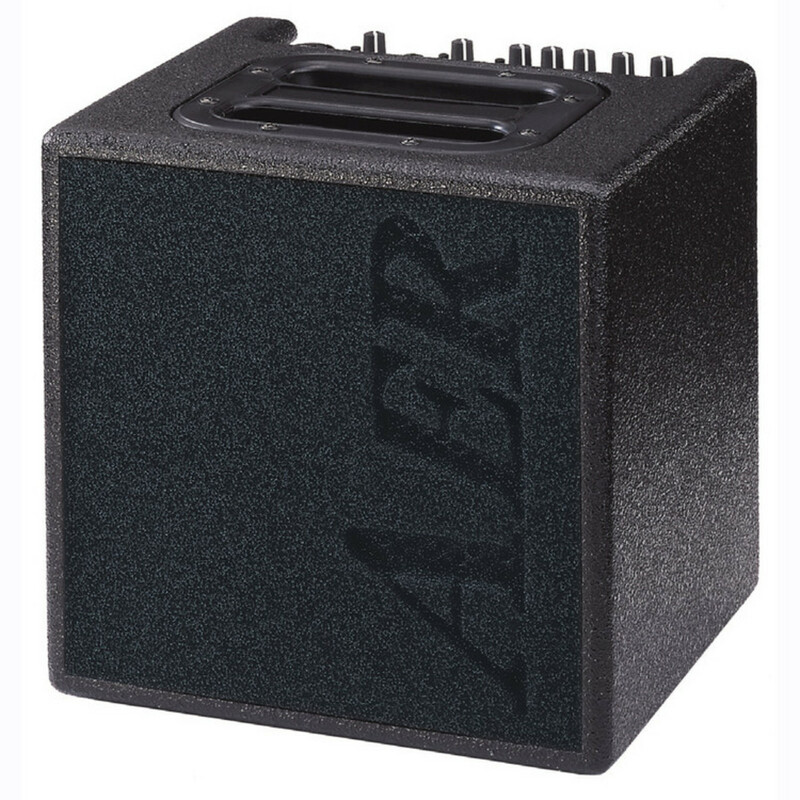 With all controls in mid position the amp produces a pleasing and natural sound that you can "colour up" using the colour filter. This has the effect of lowering the mids and lifting the trebles producing a more open and light tone especially suited for fingerpicking techniques. 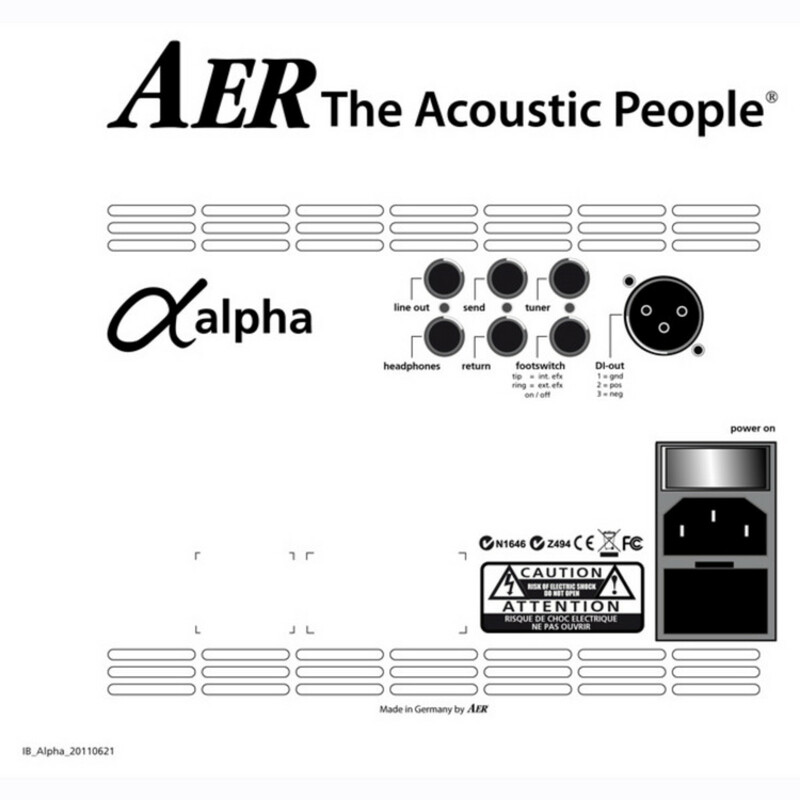 To view the full specifications of the AER Alpha Acoustic Amp please download the PDF below.